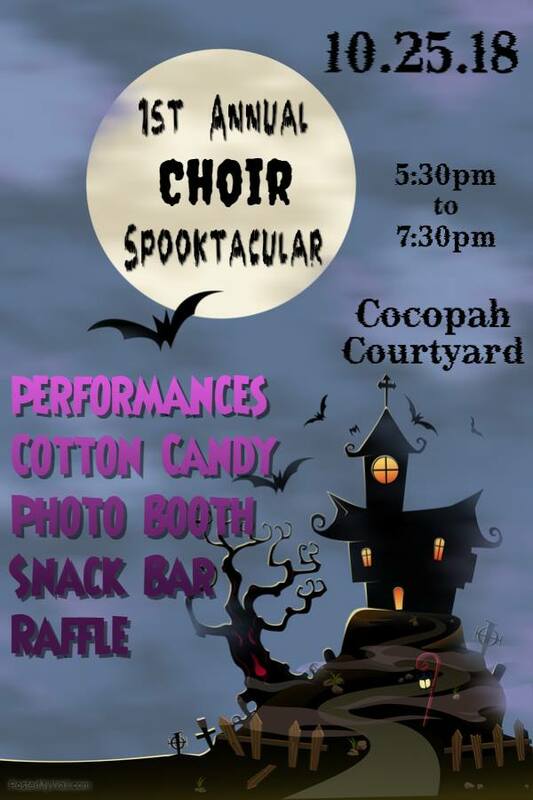 1st Annual Choir Spooktacular Family Event! Bring your friends, neighbors and co-workers. This is a family event! Date/Time: Thursday, October 25th!! 5:30-7:30pm.